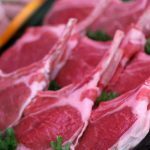 At Millin’s Free Range Butcher, we proudly support local farmers, sourcing only the finest free range and chemical-free meat from New South Wales and Queensland. 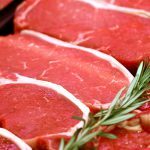 Our famous beef meat is dry aged on site using traditional methods for exceptional tasting steak. Our sweet-tasting from Breakout River is Australia’s finest, and we source our succulent pork from Goondiwindi in Queensland. At Millin’s, it was an easy decision to stock grass-fed and sourced from Barrington Tops, NSW. Cows are supposed to eat grass, this makes the meat lower in calories, richer in Omega-3 fats and higher in nutrients. The cattle in Barrington Tops live a carefree life with no stockyards, aggressive farming or growth hormones. Nick, and his fellow farmers live in a pristine area producing some of the worlds best free-range beef. In working with our local farmers we’re limiting the food kilometres and supporting sustainable farmers who have the animals, environment and our interests at heart. Cowra, which is situated along the banks of the Lachlan River, NSW, is classed as one of the most fertile valleys in the world. Lambs produced in the Cowra region have the reputation of being the best lambs in Australia. The area has ideal pastures and fodder crops grown in the region to support animals that are happy, healthy and completely free-range. We have been lucky enough to have Matt and the boys from Breakout River Meats (Cowra) supply us from the day we opened the doors in 2011. We wouldn’t have it any other way. After an extensive search to find the best free range pork supplier, with consistently high quality, Millin’s now proudly stocks Borrowdale free range pork. 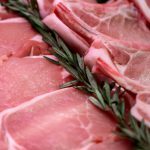 Borrowdale pork is sourced from a single family owned farm, situated near Goondiwindi on Queensland’s fertile Darling Downs. Borrowdale delivers a modern take on traditionally farmed pork, with the highest standards of ethical pork production – definitely values that Millin’s also carry. The farm was borne from a desire to raise pigs in a stress free environment with a focus on animal welfare practices and is a pioneer of commercial free range pork production. The 10,000 acre farm is an ideal home for the pigs to display their natural behaviours, being both RSPCA and APIQ Free Range approved. This results in pigs raised in a stress free environment, with the freedom to truffle, play and wallow in the mud and because of this the meat takes on the superior flavour and tenderness of pork from a bygone era.